In the following podcast interview, Phil Beckett, Interim CEO at HASA, the health information exchange for North, South and West Texas regions, discusses why data quality and confidence matters for HIEs, and much more. 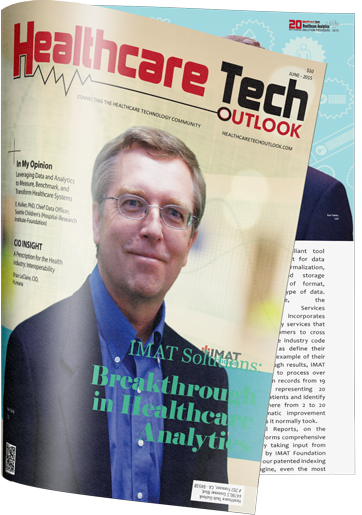 This vision is reinforced by the new IMAT Solutions C3 Framework, which helps to educate a wide-range of healthcare organizations on their overall data confidence for enhancing all care, reporting, financial, and compliance efforts. In this podcast, Phil also discusses why data confidence is vital for HIEs, and how the C3 Framework helps organizations to truly understand the importance of having data that is clean, comprehensive and current. We would like to thank Phil for taking the time to speak with us. If you are also an HIE leader, and want to assess your overall performance when it comes to data quality, please take the IMAT Data Quality Index (DCI) survey below.